Waveplates are made from birefringent materials which introduce a phase difference between the fast and slow principal axis of the waveplate. 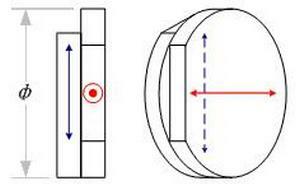 The optical axis of waveplate is parallel to the face. Light incident normal to the surface will be split to components polarized parallel and perpendicular to the optical axis with different refractive index and velocity in this device. The difference in velocities gives rise to a phase shift which is called retardance. At any specific wavelength, the phase retardance is governed by the thickness of high precision optical waveplate. 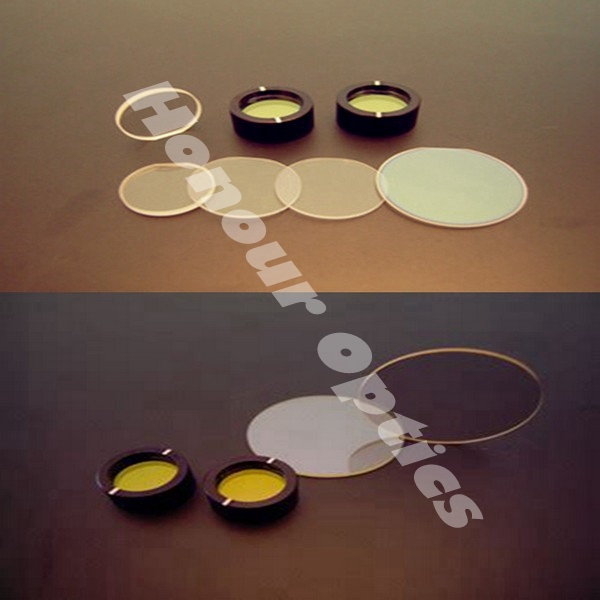 Honour Optics also offers true zero – level glass slides of quartz crystal as material. Zero-Order plates can produce Zero-Order phase delays. 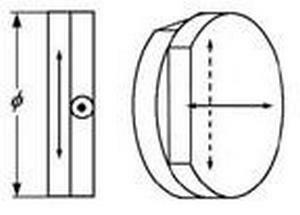 The Zero-Order waveplate has better performance and wider bandwidth than the multistage waveplate and is insensitive to temperature and wavelength changes. 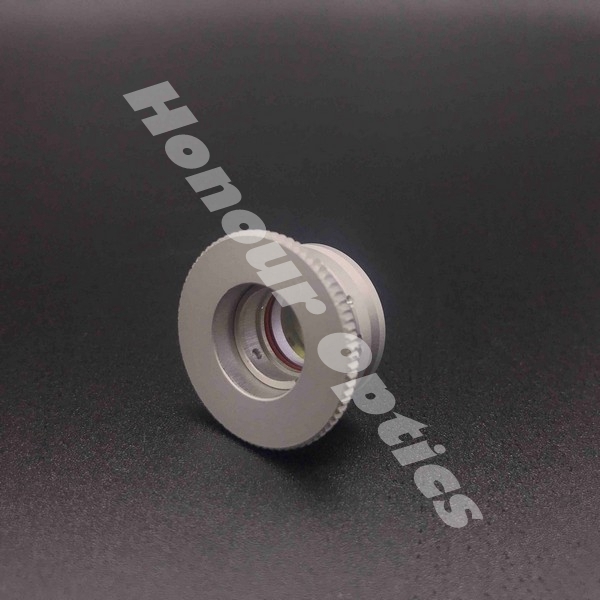 Honour Optics is the professional optical waveplate manufacturer, sell zero order/multiple order/achromatic optical waveplate, welcome to consult wholesale optical waveplate. Low(multiple) order waveplate:is designed to give a retardance of several full waves, plus the desired fraction. 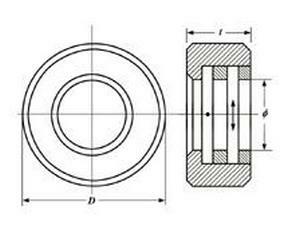 This result in a single, physically robust component with desired performance. However, even small changed in wavelength or temperature will result in significant changes in the desired fractional retardance. They are less expensive and find use in many applications where the increased sensitivities are not important. Thickness is about 0.2-0.5mm for this type plate. The cemented zero-order waveplate:is constructed by two quartz plates with their fast axis crossed; the two plates are cemented by UV epoxy. The difference in thickness between the two plates determines the retardation. Zero-order waveplates offer a substantially lower dependence on temperature and wavelength change than multi-order waveplates. Thickness is about 1.5~2mm for this type plate. Air spaced zero-order waveplate:is constructed by two quartz plates installed in a mount, to form an air gap between the two quartz plates. The difference in thickness between the two plates determines the retardance. Zero-order waveplates offer a substantially lower dependence on temperature and wavelength change than multi-order waveplates. Thickness is about 1.5~2mm for this type plate. 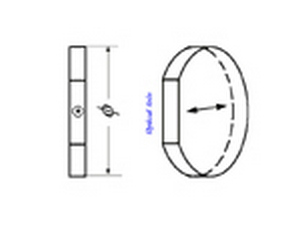 The optically Contacted zero-order waveplate:is constructed by two quartz plates with their fast axis crossed, the two plates are constructed by the optically contacted method, the optical path is epoxy free. The difference in thickness between the two plates determines the retardation. Zero-order waveplates offer a substantially lower dependence on temperature and wavelength change than multi-order waveplates. Thickness is about 1.5~2mm for this type plate. True zero-order waveplate:with a very thin thickness, it is very easily damaged. In order to solve this problem, we normally cement the thin quartz plate normally on a BK7 substrate to increase the strength. Thickness is about 0.9-1.3mm for this kind cemented plate. Honour Optics also offers single plate the true zero-order waveplate for high damage threshold application (more than 1GW/cm2). Achromatic Zero-Order waveplates:are made of two different materials, quartz crystal, and Magnesium Fluoride. The working wavelength of wave plates made of one material is limited by the dispersion of the material. Because the achromatic wave plate is made of two different materials, the birefringence dispersion of the material is also different, so that the achromatic wave plate is not sensitive to the wavelength. 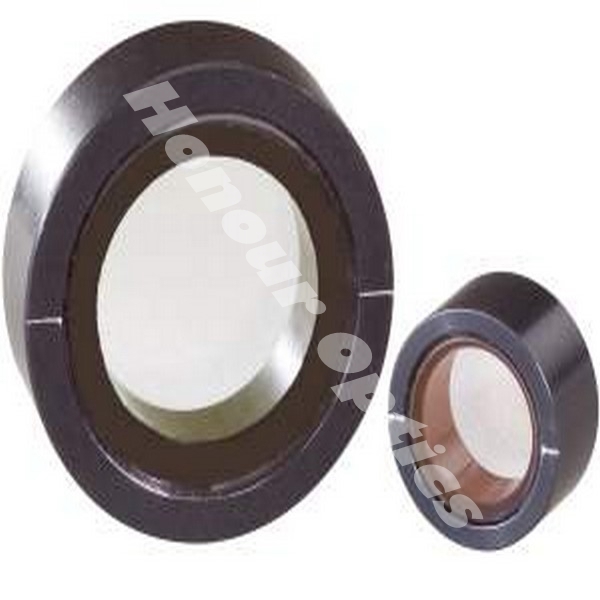 Honour Optics offers Epoxy Cemented and Air Spaced for this kind waveplate. Standard wavelength: 450-650nm 550-750nm 650-1100nm 900-2100nm. The dual wavelength wave plate:is a kind of special multistage wave plate, which can achieve the phase delay we need in two wavelengths at the same time. for example, it can be operated as a quarter waveplate at 1064nm and as a half waveplate at 532nm at the same time. 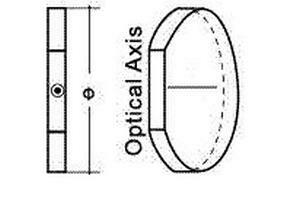 Honour optics can design any wavelength double wavelength and three wavelength wave plate according to customer's requirement. Thickness normally less than 2mm for this kind plate. Telecom waveplate:compared with cemented true zero-order waveplate, telecom waveplate is only one quartz plate, it is mainly used in fiber communication. Telecom waveplates are thin and compact waveplate specifically designed to meet the demanding requirements of fiber communication component. The half-wave plate can be used for rotating the polarization state while the quarter-wave plate can be used to convert linearly polarized light into a circular polarization state and vice versa. The half waveplate is about 91μm thick, the quarter waveplate is always not 1/4 wave but 3/4 wave, about 137µm in thickness. 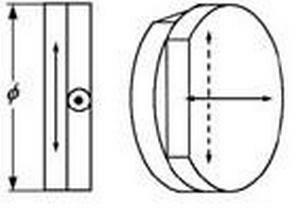 Middle Infrared zero-order waveplate:is constructed by two Magnesium Fluoride (MgF2) plates with their fast axis crossed, the two plates are constructed by the optically contacted method, the optical path is epoxy free. The difference in thickness between the two plates determines the retardance. Middle Infrared zero-order waveplates are widely used in infrared applications, ideally for 2.5-6.0 micron range. High-quality laser grade optical waveplate is an optical device widely used to alter the polarization of a wave of light traveling through it. This is available in different types such as a half-wave plate that shifts the polarization direction and the quarter-wave plate that changes the circularly polarized light into linearly polarized light. It is designed from birefringent material in different thickness range that depends on the dimension of the crystal, the light wavelength, and index of refraction. It is widely used in optical mineralogy. In addition, it is also used to make the optical identification of a range of minerals easier and faster. This plate is placed between the upright polarizers to permit two different procedures to be conducted for investigating the mineral. 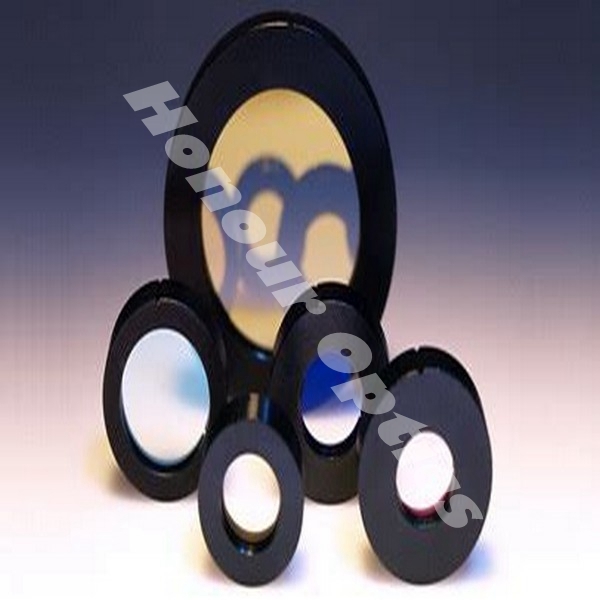 Honour Optics offers a wide choice of true zero-order, multiple-order and low-order waveplates made from crystalline quartz. Dual-wavelength waveplates for Ti:sapphire, Yb:KGW/KYW and Nd:YAG lasers. Achromatic waveplates for operation with tunable lasers. Honour Optics is the professional optical waveplate manufacturer, sell zero order/multiple order/achromatic optical waveplate, welcome to consult wholesale optical waveplate. 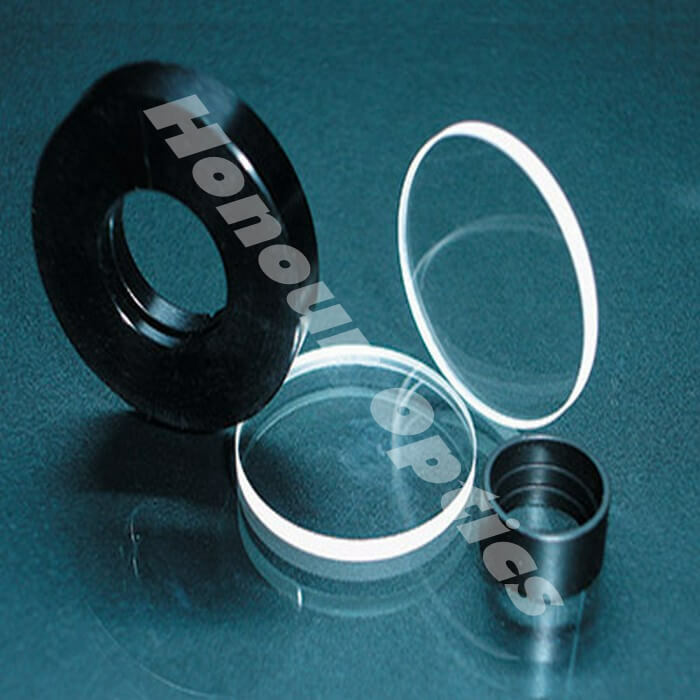 Honouroptics' design of quartz crystal and magnesium fluoride achromatic wave plate has a wavelength range of more than 300nm with phase delay precision superior to lambda /50 (lambda /2 wave plate) or lambda /100 (lambda /4 wave plate).